Expert advice: a phone call from advice! Hand torque multipliers offers torque multiplication using standard hand torque-wrenches, with great accuracy at a budget price. 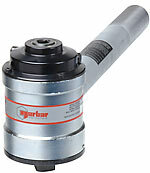 The Norbar Hand Torque Multiplier offers the workshop serious torque solutions for the Heavy Maintenance Industry. 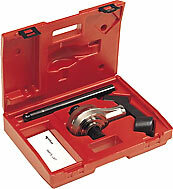 is a good alternative for applications where standard wrenches can't gain correct torque due to space restrictions. Usage is simple:Input to the multiplier is via a ratchet torque wrench set to one fifth of the desired output torque. 1300 N.m version has a spare 3/4" output square included in the kit. 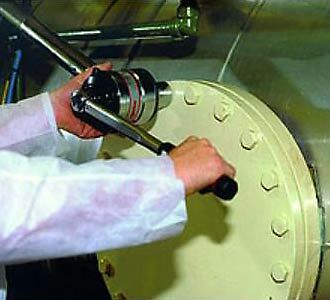 The HT-5 Hand Torque Multiplier comes complete with 2 Reaction Arms. One standard dog-leg bar generally used to locate against the nut next to the nut being tightened. The other , a longer bar type arm for locating against a housing or any Reaction Point near the Nut being tighened. series offers the workplace serious torque solutions. 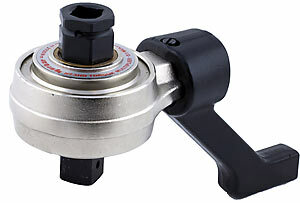 Higher ratios means even smaller torque wrenches can be used. The HT-4 also features a Anti Backlash pawl to retain any wind-up. Available in 15:1 or 25:1 gear ratios more torque is for less effort. Supplied in lockable carry case. High ratios allow use of a small torque wrench. Minimal maintenance and long life due to the robust construction. Supplied in a carry case with replacement square drive. Anti Wind-Up Ratchet (Anti Backlash) fitted - safer and practical operation. Angle protractor for easy torque and angle tightening. The high-efficiency planetary gear-sets achieve high output torque from low input torque. The operator is protected by an anti-backlash (anti-windup) mechanism within the device. These multipliers have a torque multiplier accuracy of ± 4%. The torque multipliers are reversible - can tighten or loosen bolts. Single reaction bar. Norbar 'Handtorque' multipliers employ multiple stages of epicyclic gearing to give a wide range of torque outputs and ratios to suit most applications. Ratios quoted are always the torque multiplication ratio, not the velocity ratio as given for some competitor's products. For example, the velocity ratio may be 29.8:1 to give a torque multiplication of 25:1 +/-4%. Entry Level . . . The Norbar highwayman series Torque Multipliers offer handy solutions for general engineering. Driven by a hand torque wrench the 5:1 gear ratio provides a multiplying torque gain. Perfect for hard to get to areas and to improve torque accuacy when doing up bolting. Also ideal for non powered sites or workshops. Supplied as a kit. Included is a lockable black case, drop down dog leg reaction arm and a straight bar reaction arm. Hand Torque wrench not included. Impact Sockets should be used. The Norbar Highwayman Series (HT) Torque Multipliers utilise Impact sockets plus in-Hex Drivers. Hire Torque Tools Aust can supply all Tooling overnight via Road Express to QLD Queensland Brisbane Mackay, Perth, Western Australia Karratha, VIC, Victoria, Melbourne and Geelong, Tasmania Hobart Burnie Launceston, SA South Australia Roxby Downs and Whyalla .